Over the past couple years, Clay and I have tried to change our lifestyle as much as possible and attempt to be “green”. It’s not always easy but it’s amazing how the little things can help the environment. So, we try to think of the environment at all times and do what we can to help the cause. We recycle, conserve water use (Water is very precious....less than 1% of the world's fresh water or about 0.007% of all water on earth is readily accessible for direct human use), buy organic and environmental friendly items if available, use a push mower (Um, yes….Clay mows our yard using a push mower….old school), use Green Mountain for electricity (uses wind & solar to produce electricity), use compact fluorescent light bulbs, etc. Of course, there are so many other things we can do to help the environment but unfortunately it takes time and money. Our next big items will be solar panel tint for our windows in our house and a hybrid car. We're also trying to raise Lola "green". When I was pregnant, diapers didn’t cross my mind until someone asked “Are you going to use disposable or cloth diapers?”. Wow. This had never crossed my mind. As a matter of fact, I didn’t know cloth diapers were even an option as I always had correlated cloth diapers to cloth rags with pins. Nope….not so anymore. Once this questioned was posed, I started doing my research and found some interesting facts such as: It takes up to 500 years for a disposable to bio degrade in a landfill or over a billion trees are killed each year to make disposables. Wow!!! You don’t realize how important it is to be “green” until you start hearing some of the facts. So, early on in my pregnancy, Clay and I decided we would use the cloth diaper. Well, we finally started cloth diapers about a month ago. We tried out several different diapers/methods. I’ll spare you all the dirty details but we have found a cloth diaper that is absolutely no more inconvenient than a disposable diaper. The G Diaper (must have #3)!!!! 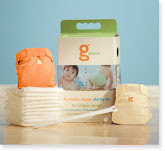 The diapers have a washable cotton outer “little g” pant and a plastic-free flushable diaper refill. Instead of flushing the refill every time, you can also throw them in a diaper pail (like you do with a disposable) and compost them. 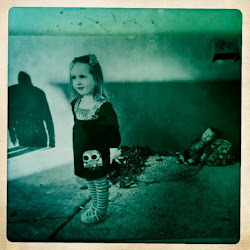 The g diaper takes 50 – 150 days to disintegrate vs. 500 years for a disposable. And, the refills are no more expensive than buying disposable diapers. I’m telling you, they’re fabulous and stylish!!! Attached is a pic of baby Lola in her cute cloth diaper (Please ignore the deer in headlights look on Lola...Lately, anytime the camera is on her, she has been giving this look...nice!). I’ve also attached some good “green” references that I love.